Daily warm-up class will be led by Elena Madrigal. Afternoon classes, taught by LICSB faculty, will include technique, variations, pointe and partnering, where appropriate, and all will rehearse for a final performance. Ballet technique classes — stay in shape and get ready for fall! Placement required for students not currently enrolled at LICSB. Ages 9 and up. Call 718-781-1169 or licballet@gmail.com to schedule free placement class. Summer Dance will explore Ballet, Jazz, Modern, Tap, Yoga/Stretch, Storytime Dance and World Dance. Daily Arts and Crafts and Games. 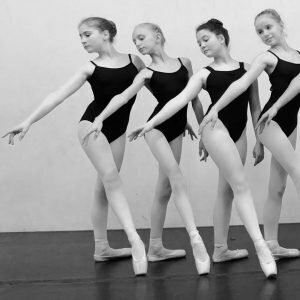 Campers will be treated to weekly ballet demonstrations by our Student Company and will have a end of camp pizza party on Friday, July 26th. Tuition is $525/week if paid in full before April 18th. After April 18th, tuition is $600/week, space permitting. Our 6 week summer session bridges the gap between our spring and fall semesters for children who just can’t go all summer without ballet! These classes are also designed to introduce new students to our school by teaching them the fundamentals needed to join their age appropriate class in the fall.